Watermelon is pretty much THE summer fruit. We serve it sliced up in fruit salads, we freeze it and eat it as if it were a popsicle, and we even puree it with vodka and a coat hanger for summer drinks. I love watermelon, so watermelon juice? That should be great, right? When I was in New York for the Summer Fancy Food Show there was at least one other watermelon juice company there, so this isn't a new concept, there are a few companies out there trying to market watermelon juice. It's interesting, but I don't think it's popular enough to be considered a "food trend" just yet. The packaging is clear square-ish plastic bottle with a shrink wrapped design, nothing new there. It's pretty small compared to other beverages, since it's only 12 oz, but juices tend to come in smaller packages because their ingredients are more expensive than sodas. What drew me to this bottle in the first place was it's design. It's playful, imperfect, and bubbly. The bright watermelon red color stood out from everything on the shelves, and I really like the fact that the company didn't go for the obvious pink and green color scheme typically associated with watermelons. Instead, this has a really light sky blue color that makes the design feel less obnoxious and abrasive. The typeface choices are pretty nicely done as well. The mixture of clean sans serif type mixed with this stylized imperfect one is really well done. (Although the text on the backside feels a bit cramped.) Even though the design isn't perfect, I really like this packaging. It's so fun to look at! I opened up the bottle and the liquid inside definitely smells like authentic watermelon, but it's a bit more intense than a real fresh cut one. According to the label, 95% of this is watermelon juice, and the other 5% is made up of pomegranate and white grape juice. I figure the added juices are to prevent it from being too one-note and sweet. Time to try it! 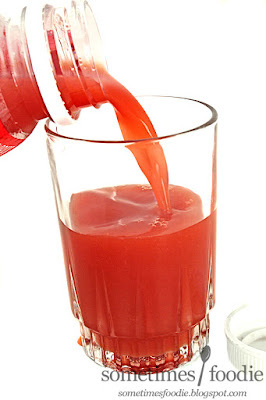 I poured some of this lovely pinkish-red liquid into a glass and took a sip. The texture is slightly thicker than other fruit juices, and it has a slight pulpiness from the fruit, but it's barely noticeable. Final verdict, this stuff is really refreshing! It's a bit tangier and more complex than plain watermelon, thanks to the added juices, but that helps with it's drinkability. If this were really just 100% watermelon, I think that would be a bit too sweet and mild to drink a whole bottle of. When you're eating watermelon you get all that lovely texture, and there is some flavor variation depending on how close you are to the rind. 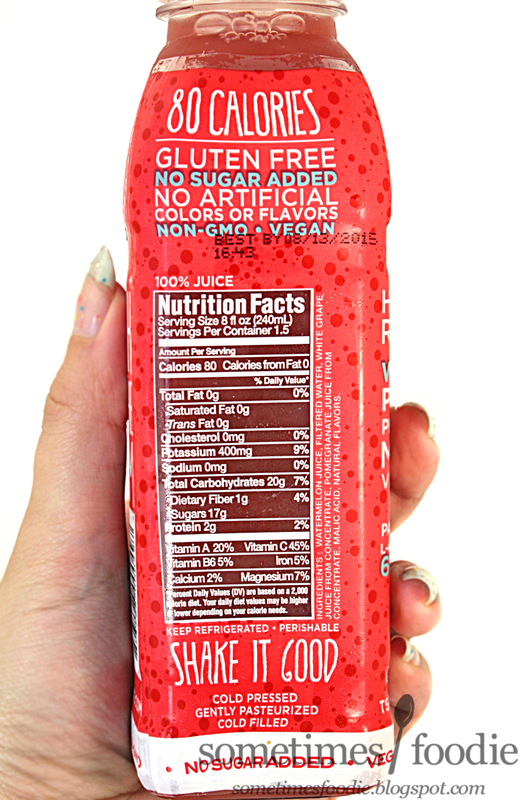 With a juice, the whole bottle is going to taste the same, so the added flavors really perk this stuff up and make it more beverage-friendly. What does it taste like? 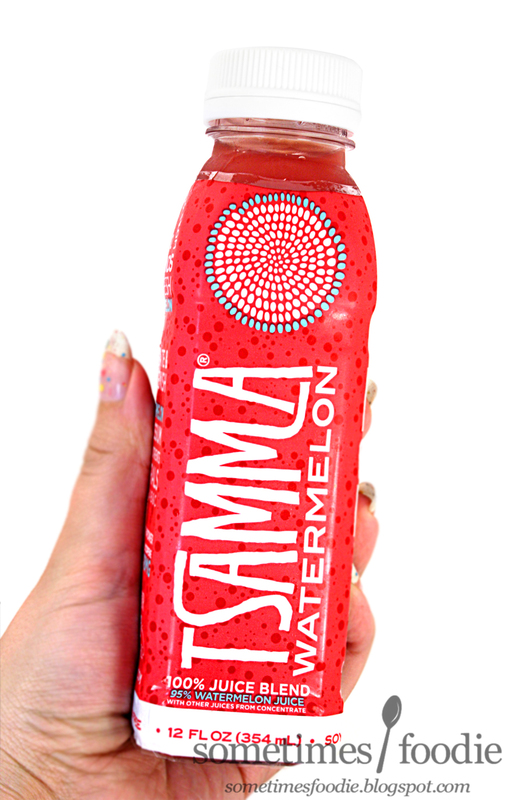 It tastes like watermelon, pomegranate and grape juice. Even though there's only 5% of those other juices in there, I can clearly taste something not watermelon in this mix. 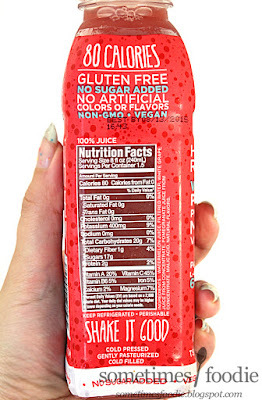 If I hadn't of read the label, I might have thought it was orange and apple juices mixed in there, since they are the go-to mixers and filler fruits, but no matter what fruit juices they mixed inside, this stuff is really good! It's really refreshing, sweet (without being too sweet) and it tastes like authentic fruit. I don't know if this is something I would buy all year round, but this is a great summer drink and I'll definitely have to get another bottle before it disappears. What about the name, where does the name come from? This is a typical of indigenous knowledge thief. 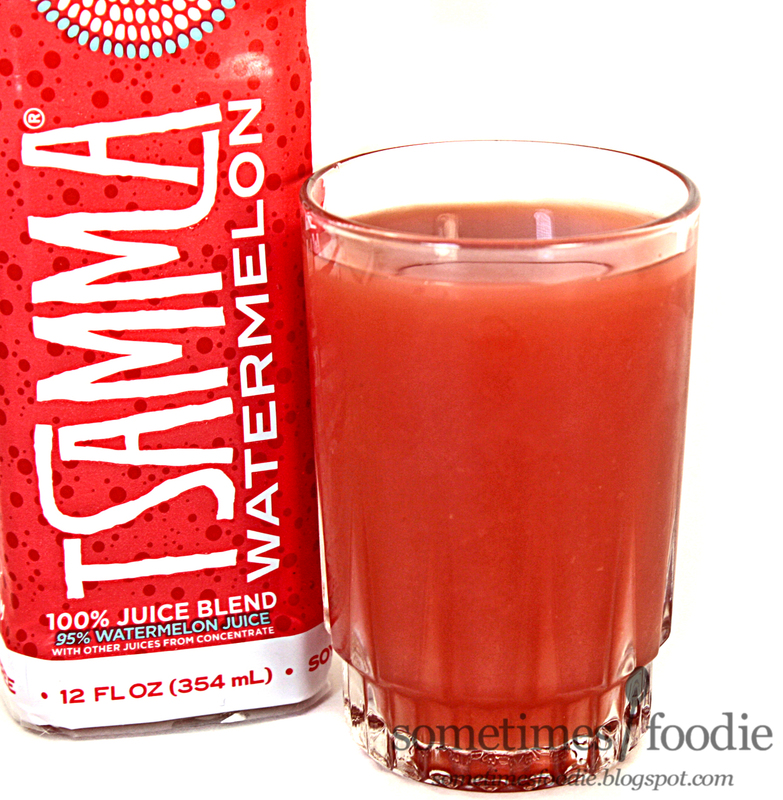 The name Tsamma is common name used by people dwelling in the Kalahari desert in southern Africa for a wild melon which is a bit bitter but used for its water during the dry season when there is not water in the desert. 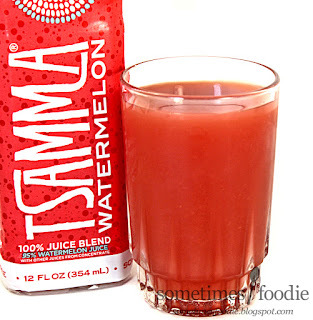 So someone in this area decide to call any of their product Tsamma, are you not going to challenge them and protest to be stealing your brand? While you are the one who stole from the community in southern Africa in the first place.